You're planning your dream wedding! Congrats. But you need those finishing touches that (let's be honest), that just fall through the cracks. 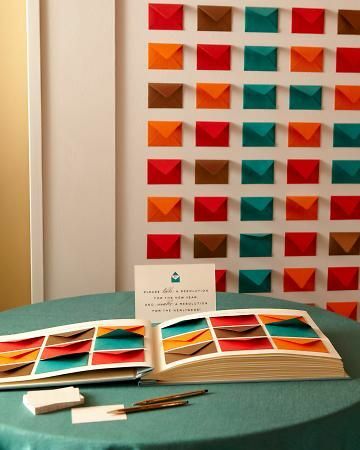 We've totally got your back and assembled some adorable and affordable guest books that your guests can interact with. 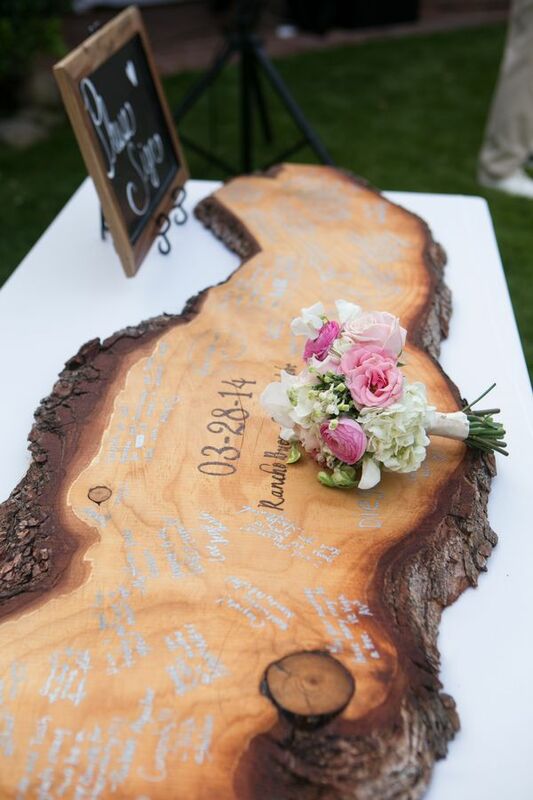 Wood Slab Why we love it: You may not remember everyone who attended your big day. As a signature piece to hang in your home, the wood slab allows you to see all the names at once. Where in the World? 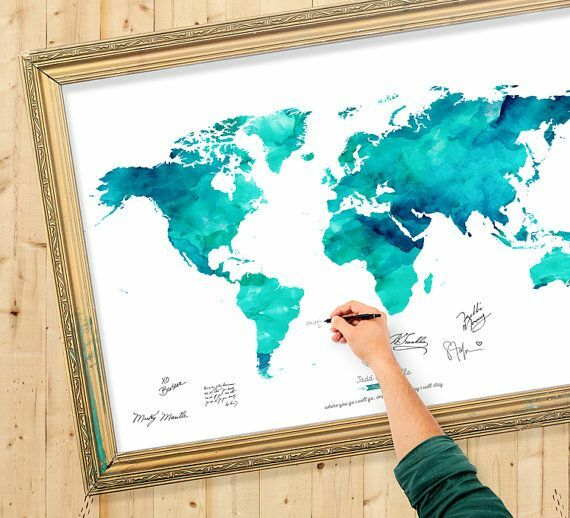 Why we like it: For our precious jet-setter couple, have your guests sign where they would like to see you 2nd honeymoon. That's a Wrap Why we like it: A video message from your guests might scream the 1980's, but it's making a come-back! Where a book gets you a name and a "congrats! ", the video message gets you the hilarious and the candid. Signed, Sealed, Delivered Why we like it: For your glamorous New Years wedding, have your guests write their resolutions and well wishes, slipped into dainty envelopes for you both to open later. 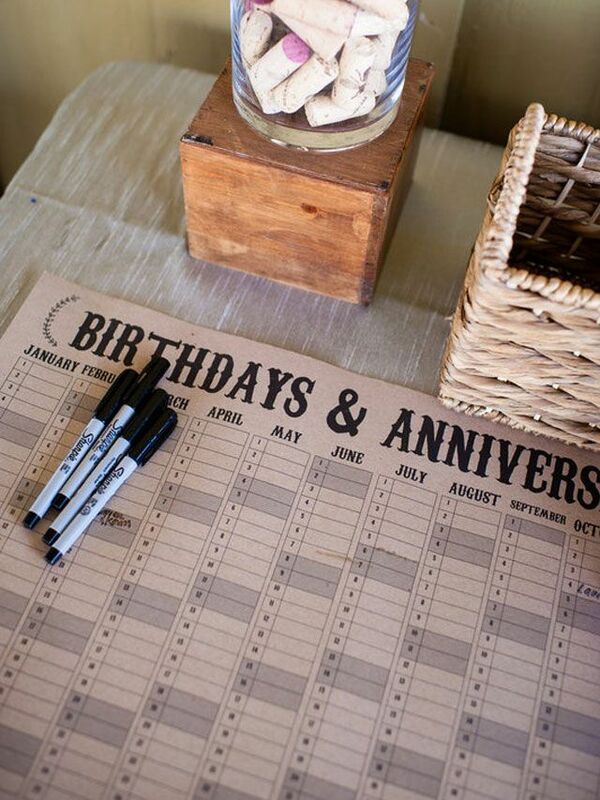 Birthday and Anniversary Calendar Why we love it: You will never miss sending out that card or gift again! If you are writing your thank you's near a birthday or anniversary, double up on the well-wishes to that wonderful guest. Snapchat 2.0 Why we like it: Assign a good friend to take the photos to let them feel involved (especially if they aren't in your bridal party). 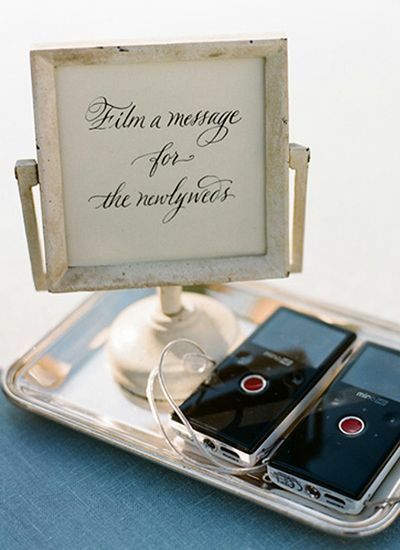 Let guests take 2 Polaroid photos, one to sign and one to keep.